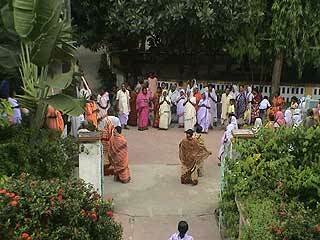 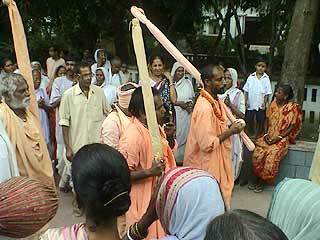 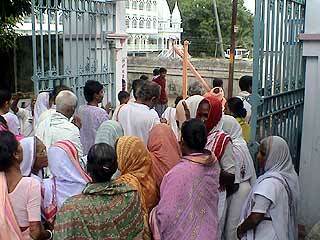 Swananda Sukhada Kunja, Godrumadwip, 08 September 2003. 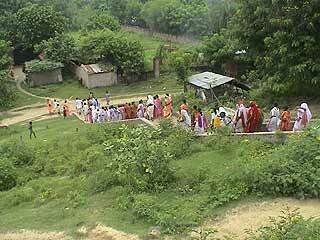 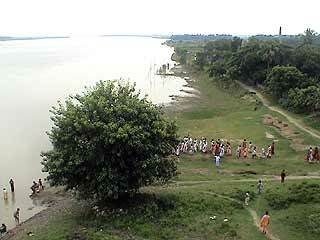 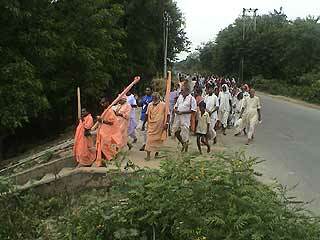 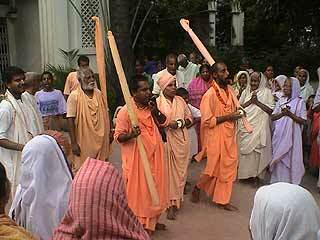 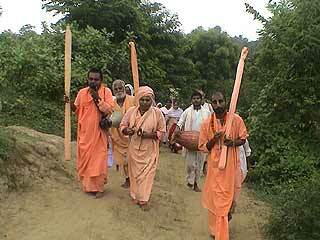 ...cross the road, and descend the other embankment to the Ganga. 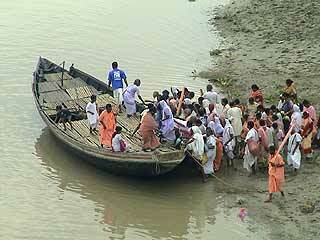 Only a few devotees can board here, since the water is too shallow at this shore. 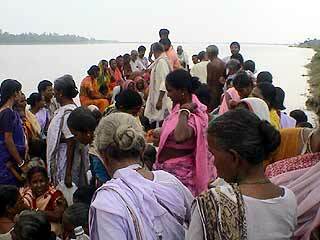 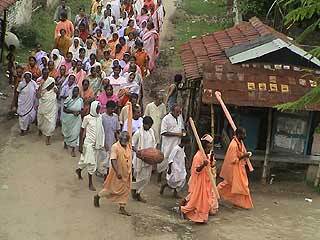 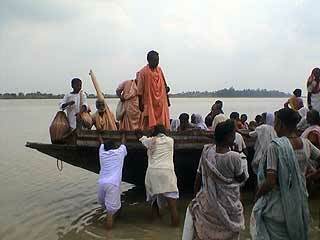 After several disembark  and much pushing of the boat  they set sail in search of a better place for the devotees to embark. 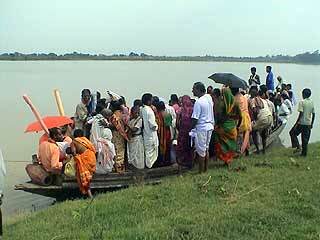 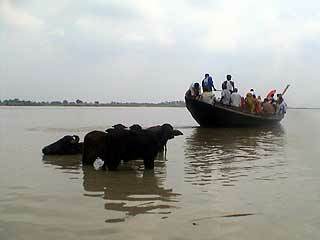 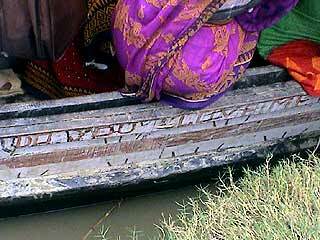 Following the apparent nature of all conveyances in Bengal, the boat fills to capacity, with no space for even one more.